In addition to providing grants to nonprofit organizations, the Foundation funds art and community projects, events, and activities for residents of Riverfront Park. The Foundation also has funded research programs that look at recreational and environmental needs within the Riverfront Park neighborhood and surrounding downtown Denver locations (e.g. playgrounds). Here are a few of the projects we’ve funded to date. 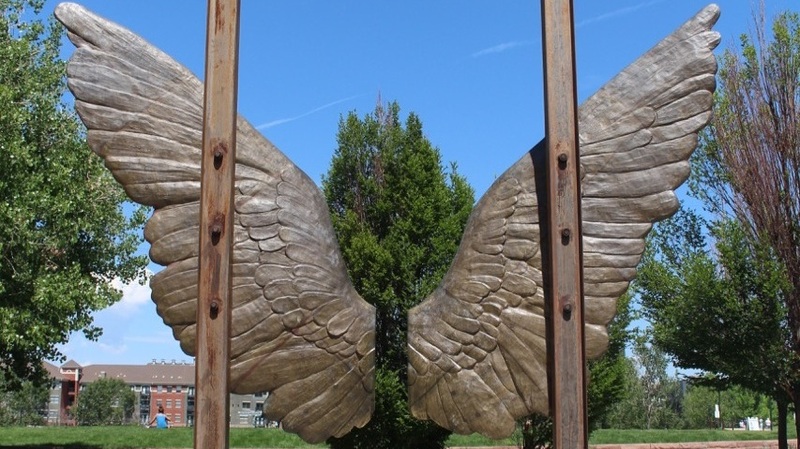 The permanent installation of a metal wings sculpture in the plaza at Riverfront Park. Coming soon to the plaza! Learn more. A temporary community art project in Commons Park created by local artists and residents at Balfour Senior Living. Learn more. 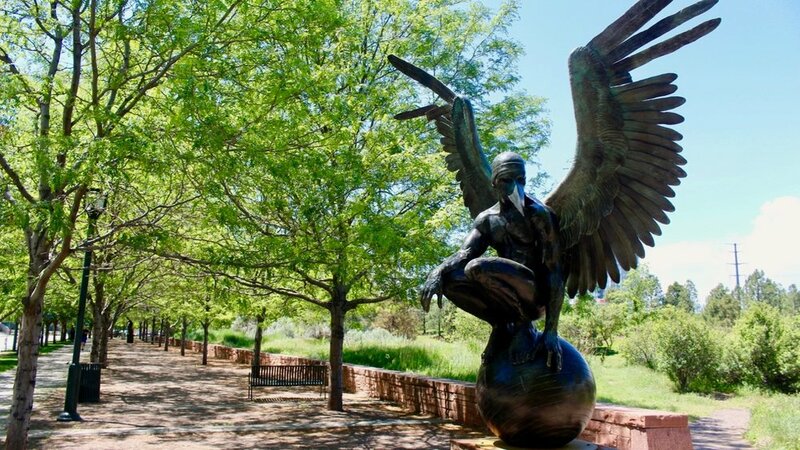 A temporary sculpture exhibit throughout Commons Park, featuring a collection of bronze winged sculptures. Learn more. A public dog park on 19th and Bassett Street, just around the corner from Commons Park and Denver Skatepark. Learn more. "The Red Forest" is an art installation by Konstantin Dimopoulos located on the Riverfront Park plaza. Learn more. As part of their grant funding, Denver Center for the Performing Arts performed two beloved Shakespeare classics in Riverfront Park — all from the bed of a truck! Learn more.